“The basic concept behind the Office of the Inspector General is that any institution, a corporation, a university, let alone the institution of government, must build into itself a mechanism for self-criticism and self-correction” – John William Ward. The Massachusetts Office of the Inspector General is the oldest state-level Inspector General’s office in the nation. Established in 1981 at the recommendation of the Special Commission Concerning State and County Buildings and its Chairman, John William Ward, the Office was granted a broad mandate under Massachusetts General Laws Chapter 12A to prevent and detect fraud, or any waste and abuse in government. Enacted in 1990, Chapter 30B of the Massachusetts General Laws, the Uniform Procurement Act, establishes uniform same procedures for local governments to use when contracting for supplies, services, and real property. Approximately 1,500 local governmental jurisdictions in Massachusetts (cities, towns, counties, districts, regional school districts, and local authorities, including housing and redevelopment authorities) follow the procedures to award contracts worth billions of dollars each year. The Office has an extensive Chapter 30B program to assist local governments. The Office has printed guidance, including The Chapter 30B Manual, a step-by-step resource for achieving the best value of procurements. Also, the Office produces many guides and advisories on specific topics. Periodically, the Office issues a Procurement Bulletin, which provides information on current issues and other developments of interest to procurement officials. In addition, the Office has a Chapter 30B Team trained in public procurement that can advise you on interpreting, analyzing, and applying the provisions of Chapter 30B. To consult a Chapter 30B Team member regarding a Chapter 30B matter, please call 617-722-8838. The Chapter 30B line is not intended to be a source of legal advice. Please direct questions regarding procurement matters in litigation or in anticipation of litigation to your legal counsel. Telephone assistance is available five days a week from 9:00 A.M. to 5:00 P.M.
Over the years, the Office of the Inspector General has used the Procurement Bulletin as a means to provide procurement officials with information on topics including developments in the law, noteworthy legal cases, questions and answers about M.G.L. c. 30B, and the Massachusetts Certified Public Purchasing Official program. Downloading a Manual: The Office’s two manuals are available from the website for free by download. However, each time a manual is downloaded, the Office pays a chargeback fee to the Information Technology Department, which hosts our website. For that reason, we request that you download and save the manuals to your computer to access them electronically. To download the manuals, depending on your computer system, place the pointer over a link, right click (or use another method to obtain the options available for the link), and save the file or target to your local system. Once downloaded, you may open or print the file as you wish. Moreover, by downloading a document to your local system, you may be able to take advantage of internal links or bookmarks that are often useful in navigating a large document. Always remember to scan downloaded files for computer viruses before opening. You also may purchase the manual from the State Bookstore. If you need assistance in downloading any Inspector General Office publications, please feel free to contact the office at 617-727-9140. 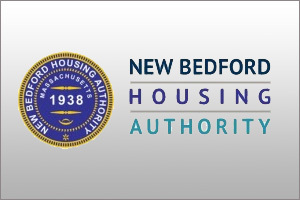 Front Ends, Procurement Forms & Contracting Requirements: http://www.mass.gov/hed/housing/ph-mod/forms/ If you have any questions about these documents, please call 617-573-1163.